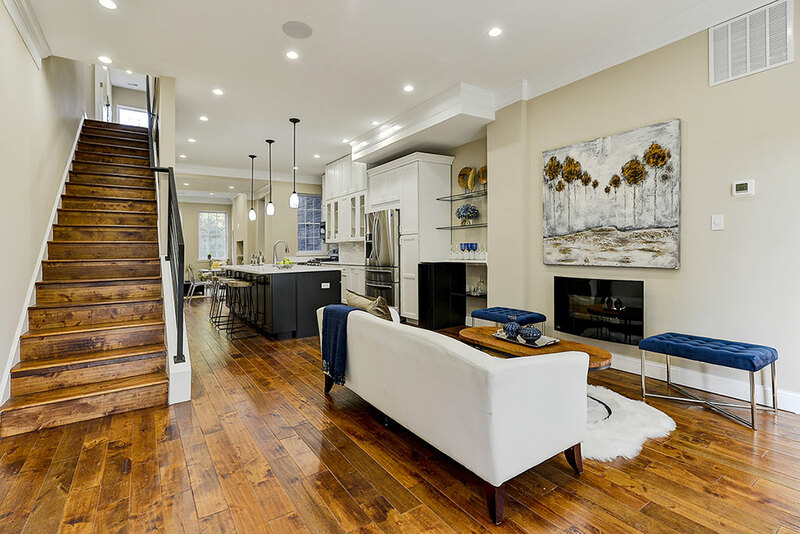 Just steps away from the H Street Corridor is this 4 BR/3.5 BA townhouse purchased and renovated in 2017, maintaining its historic facade and now finally on the market featuring energy-efficient construction materials, windows and appliances as well as Smart Home technology, 9 ft.+ ceilings and a full lower-level in-law suite. The Most Expensive Home of the Week is a custom 5 BR/5.5 BA wooded home with intricate molding, a gourmet kitchen, gigantic master suite, numerous built-ins and even an elevator across 8,000+ square feet in the Palisades. A perfect end-unit studio condo at Town Terrace West has been renovated recently, featuring a front-facing view and amazing 97 Walk Score. Your REO/Bank-Owned Property of the Week is a 1 BR condo in Mount Pleasant for less than $300k only needing a fresh coats of paints and maybe a kitchen gutting. Some Popville readers may disagree with the boundaries on this one, but this 3 BR Petworth/Brightwood Park townhouse is so fresh that it’s not even listed yet–but it will be by this weekend!